This page is closely based on the method described on the GB3VHF website, referenced here. 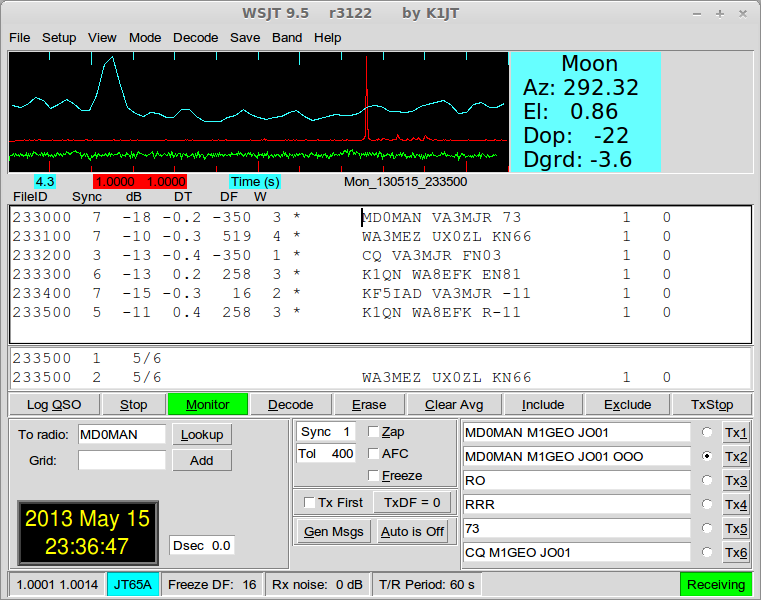 The image below is of a series of JT-65B receptions made via WSJT 9.02 on 01 September 2011. 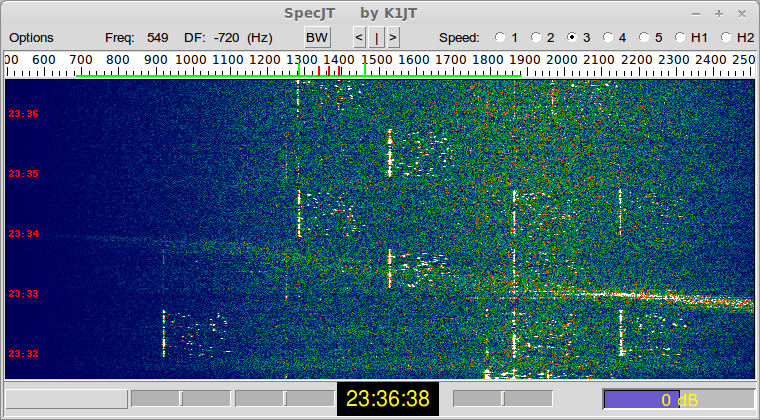 I am not entirely sure of what all the figures mean here, but the CW reception over the same period was 579. 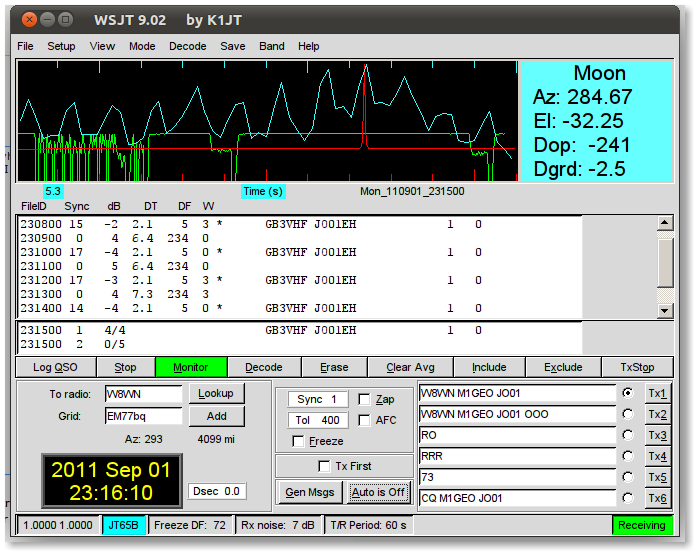 The software, WSJT, can be downloaded from here.